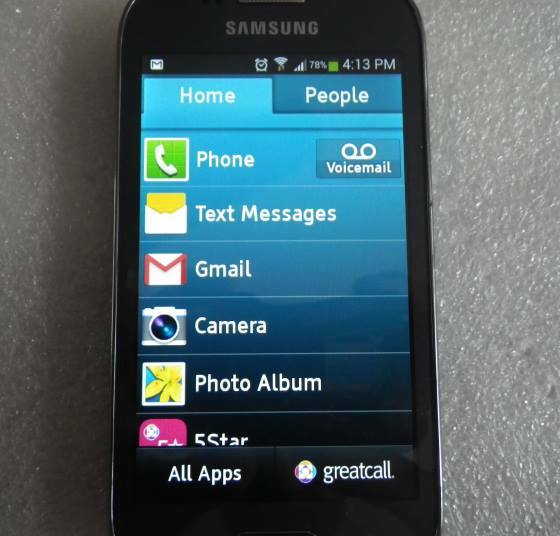 The GreatCall (Jitterbug) Touch 3 by Samsung is an easy-to-use smartphone. If you’ve been considering a smartphone that you can actually use, this may be a great option. It comes with a unique and simple interface to help you get the most out of its powerful features without straining your eyes or fingers. Now when I use the word powerful, I mean it in the sense of all the possibilities offered by a fairly up-to-date smartphone. That’s not to say it can do everything that the latest iPhone 6 or Galaxy S6 can do, though it can do almost everything. 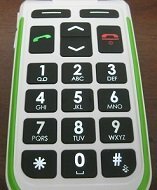 You may have seen the ads for the Jitterbug large-button phones in your Sunday magazine and wondered if the GreatCall smartphone was also as easy to use. The answer is yes, even though you can do a whole lot more with it. Let’s take a look. The main distinguishing feature of this smartphone, compared to others, is the easy to use interface developed especially for this line of smartphones. Note: This interface is different from the interface on the Jitterbug5 phone. You can access your favorite apps on the HOME screen. You also have full access to all the other apps in a convenient list format. 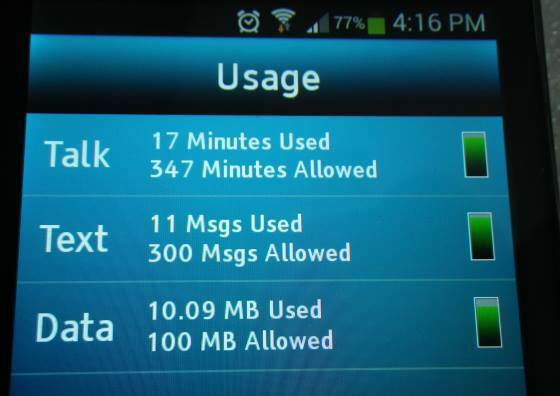 In addition there is an app for checking your phone usage so you can see how many minutes, texts and data you have left for the month (or billing cycle to be precise). There is even a Help menu with tutorials on how to use the phone. The main screen also has convenient links for the phone call feature (can’t forget that) and voicemail. This phone has a both a regular camera in the back and a front-facing camera. With the standard rear-facing camera you can take some pretty good pictures at 5MP resolution. These are great for sharing on Facebook and other social media if you’re so inclined. The front-facing camera is only VGA resolution, but it’s still good for selfies. Perhaps the best part about the front-facing camera is that you can use it for video chat applications like Skype. There is a possible hidden benefit to this. If you ever have difficulty understanding people on the phone then video can often help because you can see the person talking and their lips moving. You don’t have to be a lip reader to benefit. Everyone uses this information when speaking to someone face-to-face, but this aspect gets lost in a traditional phone call. With video chatting, you may get some of that back. Did I mention apps? 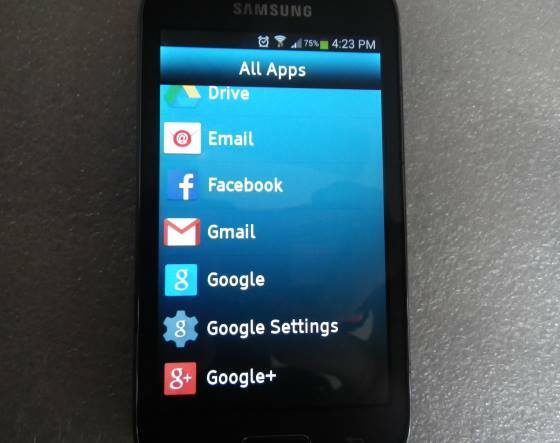 Yes, since this is a proper Android smartphone, you can download and run all the popular apps and games. Many of the popular apps are pre-loaded on the phone such as YouTube, Gmail (and a separate Email app for other accounts), a Calendar and two web browsers. Other apps you may want such as Facebook can be easily downloaded and installed from the Google Play Store. 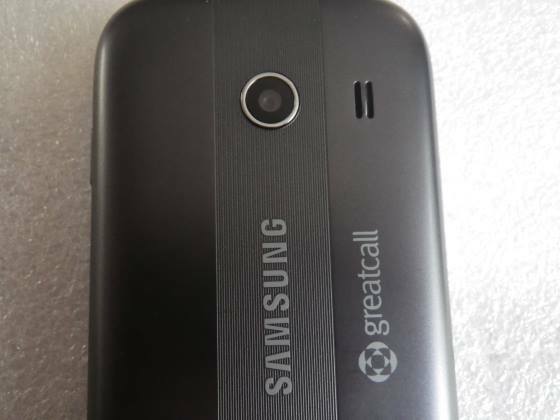 As this is a GreatCall phone, you have access to the special Greatcall apps such as 5Star, MedCoach, and Urgent Care. 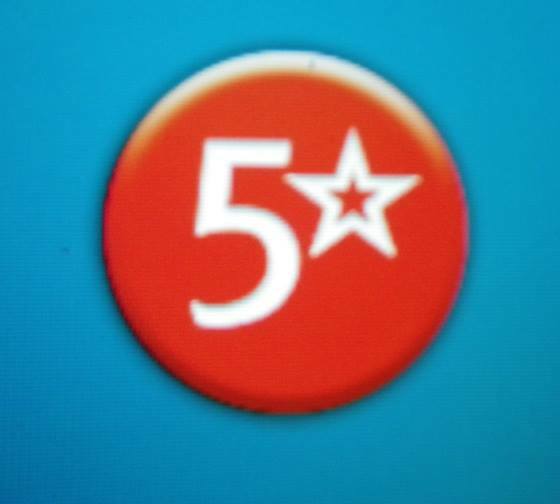 5Star is like an OnStar-like medical alert service in case you ever get in trouble. UrgentCare is a nursing advice service if you need some advice on whether to see a doctor (not an emergency service). One thing I will mention is that you may find the phone a little more difficult to hold on to than a standard flip phone. I would have preferred a more rubbery exterior but the manufacturer went for a sleeker look. When I first started using the phone it did slip out of my hands a couple of times. Therefore, I recommend getting a case for it. You can get a gel case in one of several colors directly from GreatCall or look for something on other sites such as Amazon. The other thing you have to be careful about is putting the phone in your pocket. If the home button gets pressed, the screen turns on. Now, the screen is still locked, but one feature that’s always available for safety reasons is the 5Star button. I have accidentally pocket-dialed the 5Star service and had to sheepishly explain to the operator that there was no emergency. For this reason I recommend keeping the phone in a bag or purse or getting a holder that you can attach to your waist. 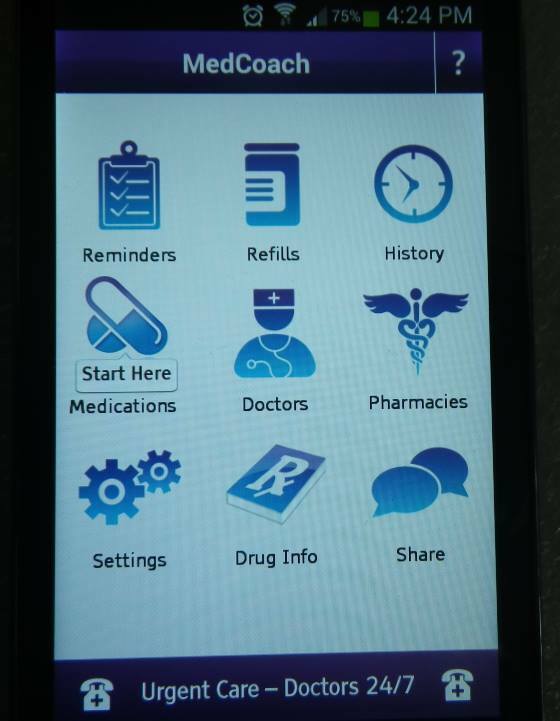 This phone is for you if you want an easy-to-use smartphone with additional feature that will help you manage your health and keep in touch. The cost of the phone and plans are pretty reasonable. This phone is not for you if you intend to use a lot of data and want a fast mobile data connection as this is not a 4G LTE phone. For that you have other options from other companies. Personally, I’ve found the phone convenient to use both with the GreatCall interface as well as the regular Samsung interface for this Android phone. 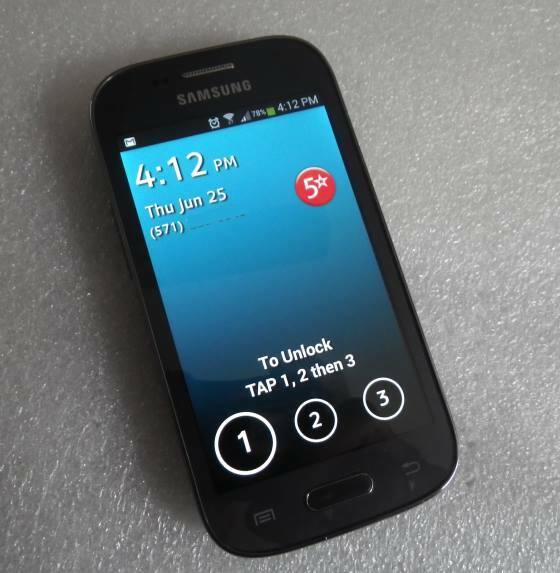 The phone is available at various retailers or you can get the Jitterbug smartphone directly. If you're looking for another service that offers smartphones for seniors, you can consider Consumer Cellular, which offers both easy to use phones like the Doro Phone and smartphones. Their smartphones include the latest iPhones, but do not have their own special interface. Other options include pay as you go smartphones from Tracfone and unlimited plans from their related brands Net10 and Straight Talk.